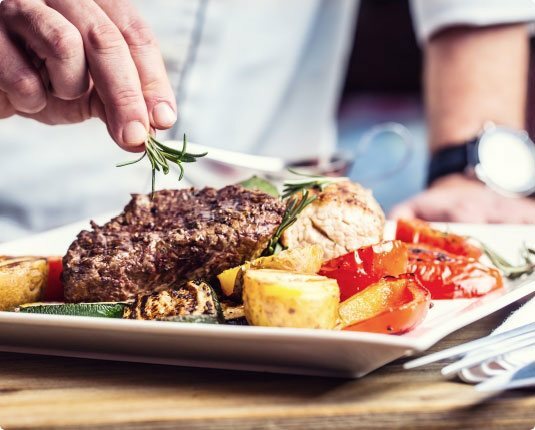 For event catering in Ohio, celebrate your special reception, rehearsal dinner, or other occasion while enjoying the scenic beauty of Lake Erie. The Lakehouse Inn and Crosswinds Grille are available to host private events onsite or catering is also available for offsite events. 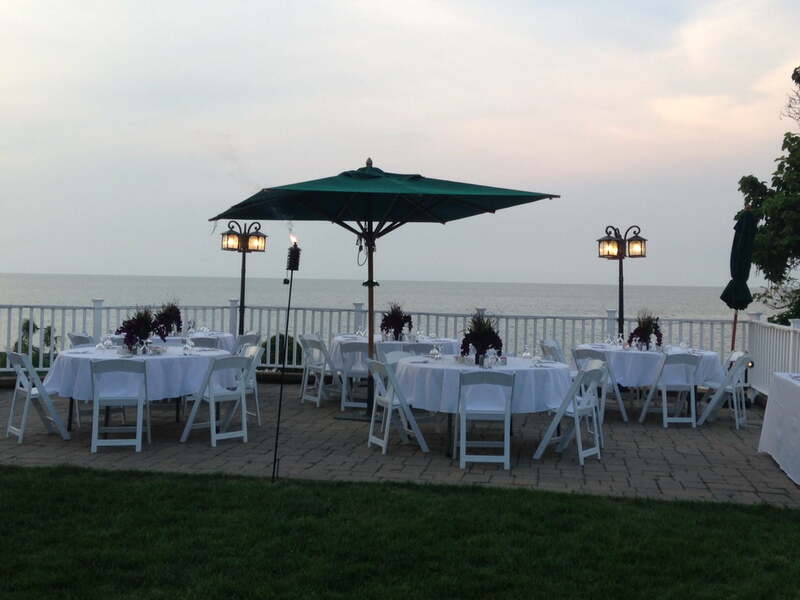 The Lakehouse Inn is a perfect venue to celebrate any special occasion while you and your guests enjoy picturesque Lake Erie. Crosswinds Grille,The Patio or Event Room, depending on the time of year or weather, are ideal locations for your next party, special event, including rehearsal dinners, bridal showers, baby showers, anniversary/birthday celebrations, holiday parties, business meetings and more! During the summer months (June-September) events for up to 50 guests can be held outdoors, overlooking Lake Erie, on the upper patio. Crosswinds Grille is available daily from Noon-4pm and Mondays/Tuesdays from Noon-9pm for your private event/meeting. The Grille can accommodate up to 50 guests. Our indoor event room, located across the street, can accommodate events for up to 40 guests year round. Facility Rental starts at $100. All Saturday evening events from mid-May through mid-October must have a $1,000 food and beverage revenue minimum guarantee. A $500 minimum is required for all other time periods. A $100.00 deposit and signed contract are due at the time of the booking that will be applied to the final bill. No reservation is firm until the contract is signed and the deposit is received. The balance is due in full the day of the event. All prices quoted are subject to change without notice, based upon any increase in supplies or operation at the time of event. Prices are guaranteed 90 days prior to the event and are otherwise subject to increases as quoted by our staff. If an event is cancelled, the deposit will be refunded in full, only if The Lakehouse Inn has received notification of the cancellation at least 14 days prior to the event. Parking is available, however, it is limited so guests may be required to double park. The Lakehouse Inn valet will be on duty to direct cars prior to the start of the event. A Service Charge of 18% plus applicable sales tax will automatically be charged to all food and beverage charges. Final guarantee attendance for all food and beverage functions must be made and received at least 10 days prior to your event. If The Lakehouse Inn does not receive a final guaranteed figure by the 10-day deadline, then you will be charged for the number of persons denoted in the contract. Customers should understand The Lakehouse Inn is an outside venue and dealing with inclement weather (wind, rain, extreme heat, or cold temperatures) is an inherent risk of utilizing this facility. Due to the Ohio Department of Health Regulations, no food or beverages may be removed from the event site. Desserts and cookies are the only exception to this rule. Due to state liquor laws and violation of our liquor license, no outside alcohol of any kind may be opened during a private event. If any outside alcohol is on the grounds during a private event, then the alcohol will be poured out and person(s) will be asked to leave. The Lakehouse Inn reserves the right to inspect and control all private events. We assume no liability for attendees’ personal property, or equipment brought to, or stored on our property. The Lakehouse Inn will not tolerate any damage or misuse of our facility or property. Damages and excessive cleanup will be charged accordingly. 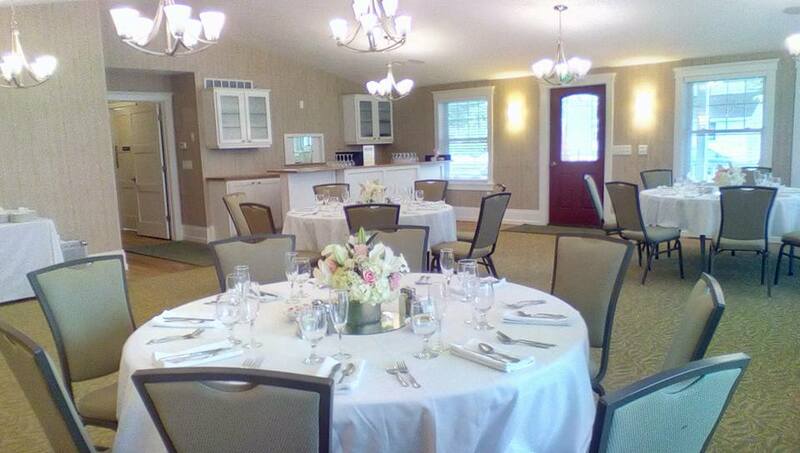 Choose catering by Crosswinds Grille at The Lakehouse Inn for your next event. Catering is available for a variety of events including anniversaries, birthdays, holiday parties and corporate events. From boxed lunches to plated meals, Crosswinds Grille offers a variety of menus featuring locally unique ingredients. events@thelakehouseinn.com or call 440-466-8668 x 405.